Last weekend I had a few friends over for an Orchard Cottage slumber party / food fest. Among them was Kavey of the blog Kavey Eats and her latest stack of cookbooks. One of the themes of our visits has been to trawl through these books and pick out recipes to make. Then we head to the shop and return home for a weekend of cooking and eating. It’s basically my ideal way to spend time. Kavey and I share many mutual foodie interests, one of which is ice cream. Kavey runs a monthly blog meme called Bloggers Scream for Ice Cream (aka BSFIC), so I always like to use Kavey’s visits as an excuse to try a new ice cream recipe. It also helps that her chosen theme for this month’s BSFIC is BOOZE, which made my mission to make ice cream all the more inviting. Convenient to my cause, one of Kavey’s cookbooks was The Icecreamists: Vice Creams, Ice Cream Recipes & Other Guilty Pleasures by Matt O’Connor. I wasn’t sure if I liked this book at first, totally based on the cover whose bright pink / black design is really hard on my eyes. Inside the book, I continued to find other aspects of the design off-putting: lots of light-coloured text on dark backgrounds and pseudo punk rock motifs. I get what they’re going for, but it doesn’t make for user-friendly reading, which is pretty crucial for recipe books. The photographs, however, are another matter – here the dark and brooding style really works. These days, too many pictures of ice cream involve pastel colours and frilly props. Not so in The Icecreamists. I reckon a man took the pictures – indeed, his name is Anders Schonnemann – and he definitely has balls (or should that be scoops?). 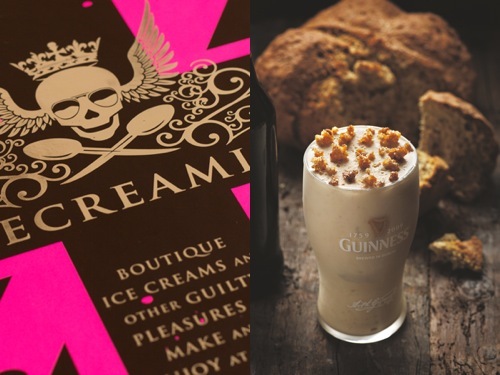 Having perused the book, it was obvious which recipe needed to happen: Brown Bread and Irish Stout Ice Cream (pictured in a very manly Guinness glass, though oddly looking more like a milkshake than an ice cream – but nevermind). I’d never heard of “brown bread ice cream” before but it seems to be a “thing” in these parts. It goes back to 18th-century Victorian times and has been a popular flavour in England and Ireland ever since. 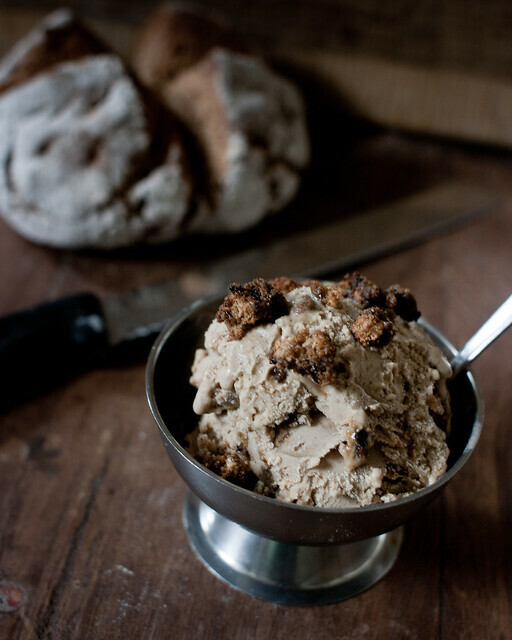 The premise is this: take ice cream, and mix in crunchy caramelised bits of bread crumbs. Sounds good, right? And this version is a particular tribute to the Irish, made with brown Irish soda bread and Irish stout (Guinness in my case). The ice cream base is a basic custard, kicked up with cinnamon and nutmeg (a LOT of nutmeg, which I loved). For the brown soda bread, I followed the recipe in Bread: River Cottage Handbook No. 3 which includes dark treacle for a sweet, molassesy kick – basically perfect for this ice cream. The recipe only calls for 50ml of stout, which leaves plenty left over for drinking, but also makes me question whether the stout flavour comes through, particularly with the high flavour spices. Regardless, the final result was a total win. Caramelised bread crumbs in ice cream – or in anything for that matter – might be my new favourite thing. Pour the milk, spices and cream into a large saucepan and heat gently, stirring occasionally, until the mixture begins to steam but not boil. Meanwhile, whisk the egg yolks in a heatproof bowl until smooth. Add the sugar and whisk until slightly fluffy. Gradually pour the hot milk into the egg mixture while whisking continuously to prevent the eggs scrambling. Return the mixture to the saucepan and place over a low heat, stirring frequently until the custard thinly coats the back of a wooden spoon. Do not allow to boil. Add the crumbled soda bread and mix with a stick blender, then pour the mixture back into the bowl and set aside for about 30 minutes, stirring occasionally, until cooled to room temperature. For more rapid chilling, half-fill a sink with cold water and ice and place the bowl in it for 20 minutes. Never put the hot mixture straight into the fridge. Once cooled, boil the stout until it is reduced by about half and add to the custard. Cover the mixture and refrigerate, ideally overnight but at least for 6 hours, until thoroughly chilled (at least 4°C/40°F). Pour the chilled mixture into an ice cream machine and churn according to the manufacturer’s instructions (you can also make this without an ice cream maker). Meanwhile, prepare the caramelised crumbs. Combine the crumbled soda bread and sugar and spread over a shallow baking tray lined with parchment paper. Place under a medium-hot grill, stirring frequently, until the breadcrumbs are softly caramelised. Allow to cool a little. Fold most of the toasted bread mixture into the ice cream, then use a spoon or spatula to scrape the ice cream into a freezer-proof container with a lid. Freeze until it reaches the correct scooping texture (at least 2 hours). Decorate each portion with a few of the remaining caramelised bread crumbs before serving. 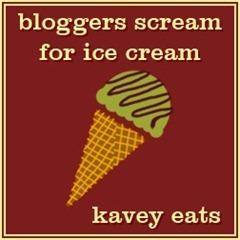 Recipe posted for Kavey’s Bloggers Scream For Ice Cream December challenge. What I loved, when we were sitting trawling through the books to choose recipes, is that we both shouted GUINNESS at the same time, you holding up a Guinness ice cream recipe in, I think, David Lebovitz’ book and me holding up this one! Great minds! This was such a great ice cream and I loved that you made extra caramelised bread to sprinkle over the top on serving. 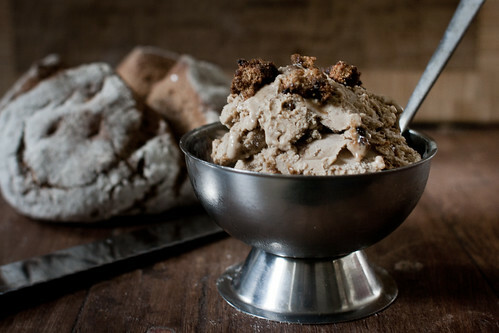 Brown bread ice cream has always been a favourite of mine, i love the sweet crumbs and their flavour works so well. I hope you could taste the stout but agree that 50ml doesn’t sound like an awful lot. Still, with all the other flavours i can imagine the end result was superb! How original! 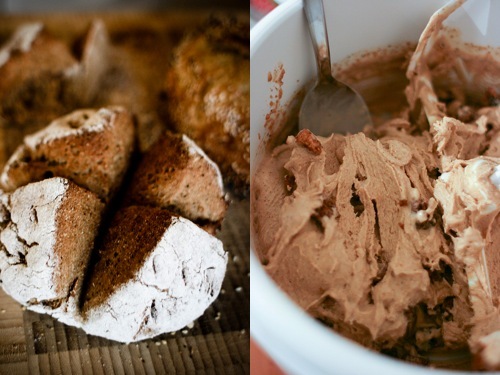 My Danish grandmother used to make a pumpernickel and beer porridge that was served with ice cream and it was delicious. I believe I will have to try this for St Patrick’s Day! Pumpernickle and beer porridge?! Now THAT I would love to try!